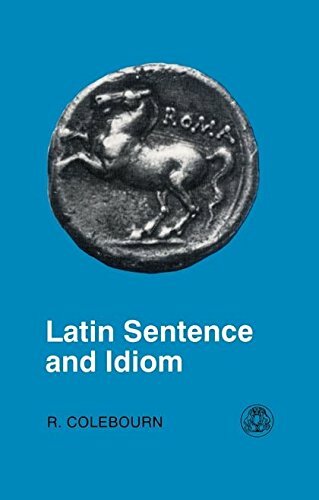 Colebourn's Latin Sentence and Idiom: A Composition Course is a classic textbook for the intermediate and advanced student of Latin. Unfolding the logical, rational basis of the language, the structure of the book is planned to help the student learn to read and write Latin as fluently as possible. Grammatical constructions are carefully introduced, with clear but thorough explanations throughout and are complemented by regular exercises. Chapter summaries recap the chief grammatical constructions and revision exercises at frequent intervals help reinforce the student's learning. The book includes sixty passages of prose composition, graded in difficulty, length and vocabulary, and arranged in two series according to complexity. The passages are preceded by advice on prose-writing and alternate passages are fully annotated with aids and references.